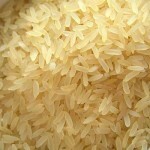 Panama rice is cooked with oil and water. Salt is also added during preparation. Panamanians are rice lovers. If there is no rice on the table it is said there is no meal. This is the basic staple of Panamanian diet and is usually accompanied by meat and beans. 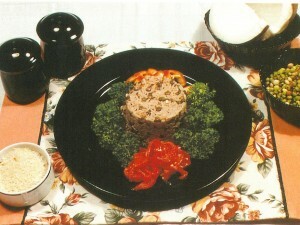 Salads and soups are also regularly enjoyed with rice. A traditional dish of rice with shredded chicken, vegetables, olives and capers. 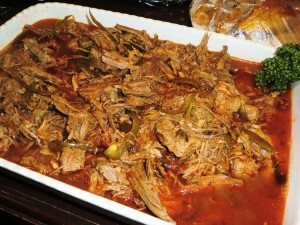 It is very popular in Panama and a preferred dish of for parties in Panama. 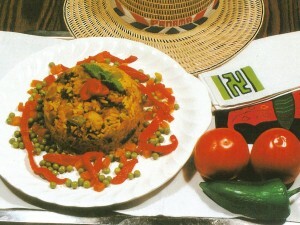 A traditional dish of rice with pigeon peas. It is often accompanied with chicken, beef or fish. 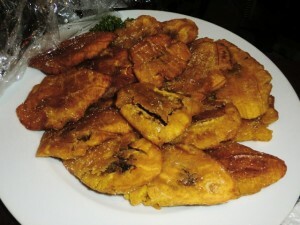 A similar dish is also made adding coconut flavor in the Caribbean islands, and served with fried fish. 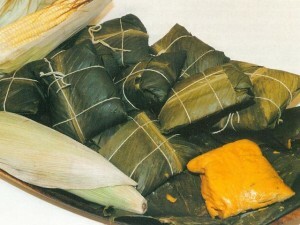 It is a sort of corn cake wrapped by banana leaves. Inside, it has vegetables, chicken or pork, tomato sauce, onion, garlic and coriander. 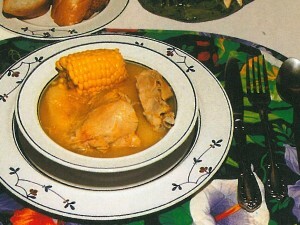 This is a traditional soup of Panama. It is prepared with a tuber named ñame and spices such as coriander and oregano to enjoy a great flavor. Depending on the region, people also adds corn. It is a pie made with flour paste. Inside it can be filled with beef, pork or chicken as well as cheese. 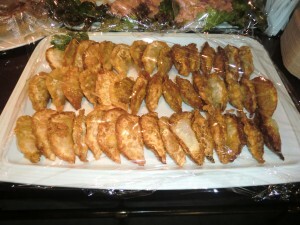 Empanadas are very popular in parties and town festivals. It is a fried sliced green banana. Like empanadas, patacones is a very popular appetizer on the table of Panamanians and can be accompanied by meat (pork and beef) or cheese. 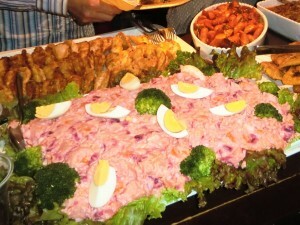 A mix of potato, beets and boiled egg seasoned with mayonnaise, vinegar and olive oil. It is well known for its pink color. It is generally served in parties together with arroz con pollo. A dish of stewed and shredded beef accompanied with rice and beans soup. “Ropa Vieja” means old cloth as people imagine cloth fabric being spoiled over the years with threads being detached from cloth.